Susan is a partner at London law firm Mishcon de Reya. An experienced real estate lawyer, her in depth understanding of the property market and business training as a Sloan Masters MSc (London Business School) graduate, combined with a wide circle of contacts help make the firm’s programme of events “must attend” networking opportunities. 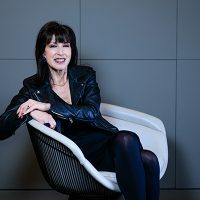 She is a member of the Mishcon Tech Group, whose MDR LAB runs an incubator programme for legal tech start-ups and mentors for Pi Labs proptech start-up accelerator.